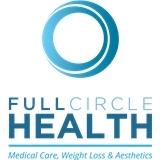 Full Circle Health (Mesa) - Book Appointment Online! Comprehensive medical care including all your medical needs in addition to weight loss, male & female bio-identical hormone optimization, nutraceuticals for peak wellness, and aesthetics using Botox, facial fillers, body contouring and facial rejuvenation. Certified Coolsculpting and Ultherapy center - The CoolSculpting procedure is the only FDA-cleared, non-surgical fat reduction treatment that uses controlled cooling to eliminate stubborn fat that resists all efforts through diet and exercise. Ultherapy is a non-invasive FDA cleared device that uses the power of Ultrasound to tighten and lift skin. We treat eyes, brow, cheeks, neck and chest to build collagen to tighten skin and reduce wrinkles. Took his time, answered my questions, good care. These guys were great. Real quick and very friendly. Dr Frye is awesome. Good guy and takes his time. Never seemed like he was just rushing from patient to patient. Staff was great too. Happy I switched to this office.